It is quite amazing how the same situation can be experienced in two completely different ways. About 4 years ago I went in to our local Foschini department store, which is nationwide, to purchase some perfume. They were selling off all their stock of Cacharel perfume and as this is the only brand I wear, I bought all the bottles that they had. It was only when I got home and unpacked the 5 bottles did I realize that I should have asked them for the tester bottle, which was quite full, as it would no longer serve any purpose. Last month, before we left for overseas I went to a local department store, Friedman and Cohen, to price perfume. They had one bottle left of the Tentation and it worked out to €40 for 100mls. In France, this same bottle cost €80! Last time I bought perfume in France it was way cheaper than what I could get at home, and it came with lovely gifts and a bag full of samples that I am still using when we travel. However, at double the price I was not going to splurge out. I happened to be at Friedman and Cohen for something else this past week, and they still had the one bottle left. Not wanting to lose out on a bargain, I bought it. And, the lovely sales lady gave me the tester bottle (which I had not even seen), without me saying a word! The bottle is nearly full and so I doubt I will have to purchase perfume again in a hurry as my old bottle is still about half full. I was so impressed with the service and from now on, all my perfume will be purchased at this store. Another thing which impressed me was the Swiss Meringue I made with fructose. Meringues themselves do not work with fructose, but Swiss meringue which is prepared in a different manner worked perfectly, and I was able to indulge in these amazing grapefruit curd tarts. Swiss meringue is made by first dissolving the sugar over a bain marie, and then whisking it into the egg whites until glossy. Use to top a lemon meringue pie, key lime pie etc. Seriously mouth watering as I read this. Never tried grapefruit curd – must rectify. This whole experience has changed where I will buy my perfume in future for sure! Such a pretty, light dessert! A great result for you on both counts! Tandy, your method of making SM is nearly correct, however, is is quite important to whisk over the bainmarie until the temperature reaches 71°C. This magic temperature ensures that all bacteria, including salmonella, is killed and makes your meringue a safe product. Just trying to ensure a bit of food safety. Otherwise you have a great site, which I pop-in to read every now and then. They look pretty, Tandy! I love the “evolution” photos you put up, too!!! Hi Tandy, great story. Love the meringue, that’s one thing that I have never made before. 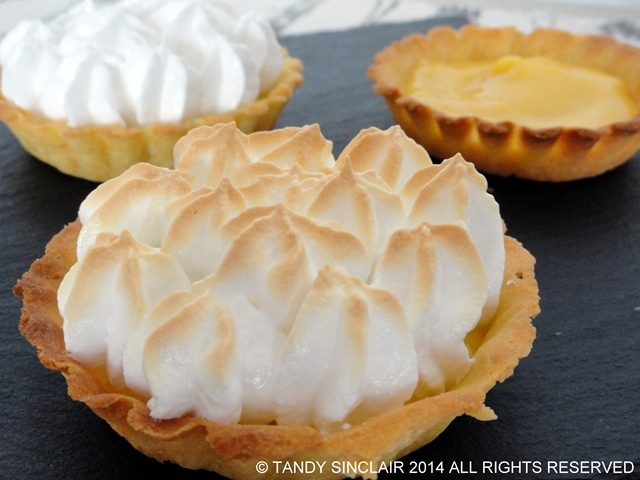 I love meringue, but never made Swiss meringue, always afraid of this technique…I sure should give a try…specially small quantity like yours…thanks for the inspiration Tandy. Yum – Tandy – these look so good. 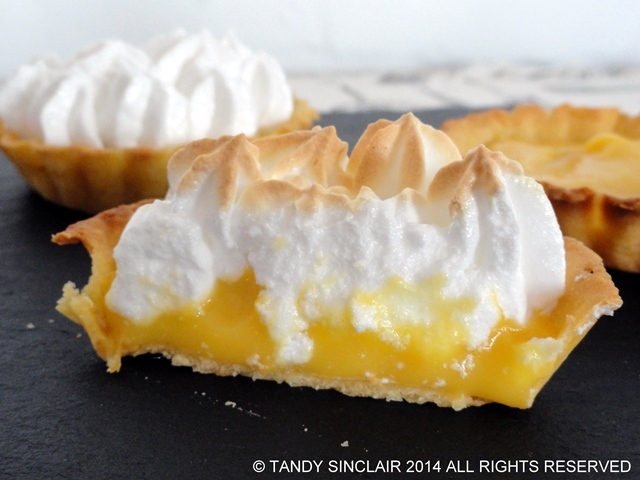 I have never successfully made meringue, but maybe with this recipe…looks great! I love your swiss meringues. I confess in the past my meringue falls a little flat, so it’s a treat I order out to be safe =) But I’m eager to try again, I would love to be successful! And your perfume story is so fun, I read something like 90% of French women wear perfume. No wonder with the great selection they have. Damn delicious, smooth and pluffy meringue!!! Love swiss meringue! Bookmarking the recipe! Oh, this would go down a treat right now for sure!